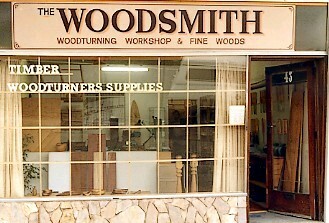 The Woodsmith Pty Ltd a unique Australian family owned business, established by Len and Jean Smith in 1980, to teach the craft of woodturning. 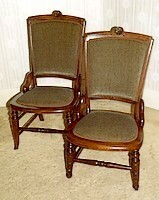 Mid 1970’s French Polishing & Woodturning. Len Smith learnt & practiced Woodturning and the art of French polishing as part of his interest in restoring Antique furniture. 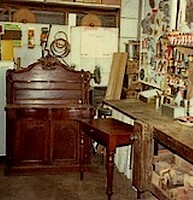 Len started furniture restoration & French polishing from his home workshop for private customers & carried out work for Antique shops, using his polishing skills & woodturning to make replacement parts when required. Len continued woodturning developing a fine touch to produce fine quality one off pieces, selling his turnings at markets & supplying craft galleries, & various annual exhibitions of crafts. gain new skills in woodturning with a number of England’s best woodturners.